We’re always amazed at how easily (some) babies fall asleep on the go. 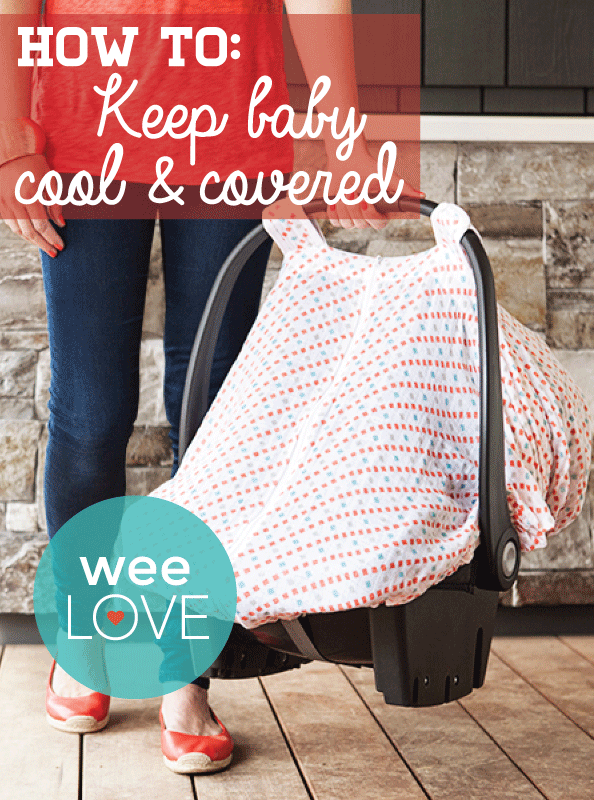 From car rides to sidewalk strolls, supermarket trips to coffee runs, help your little snoozer get a solid in-transit nap with Bébé au Lait’s new Muslin Car Seat Cover. This breathable, open-weave cotton cover serves as a light, airy layer between baby and the hustle and bustle of the world around him. (Much like celebrities, sometimes they just can’t be bothered…) The zippered opening lets you peek in for sleep status checks and binky adjustments. Easy-snap straps and an elasticized bottom make for quick cover ups and fit most infant car seats. Aside from nap time, you’ll also want to pull this essential out to keep your tot cool and covered on hot summer days. Machine-washable fabric, adorable patterns, and even a little pocket for pacifiers… you (and your baby!) will be totally covered.